As a kid I was convinced that fruit and dessert should remain separate. Now that I'm older, I'm beginning to appreciate the combination. 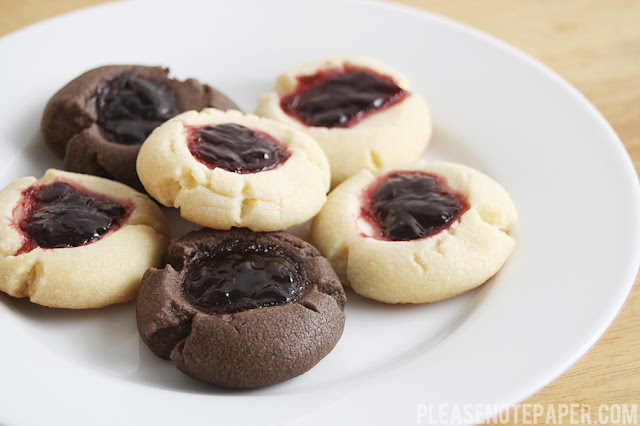 Needless to say, this was my first time baking thumbprint cookies because I've never been a huge fan. Not only is this recipe (found here) simple, but the cookies are delicious, especially right out of the oven. Preheat the oven to 350 degrees. 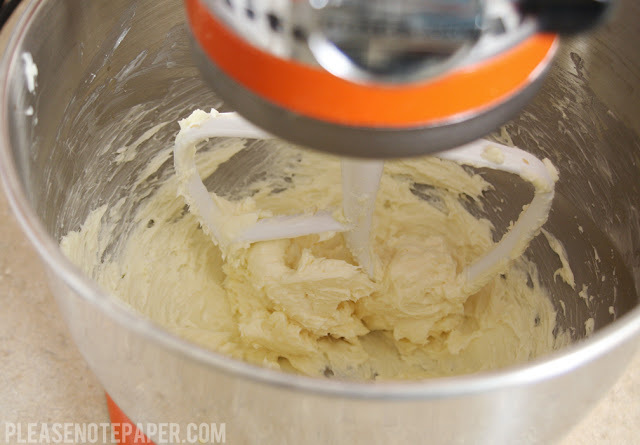 Cream the vanilla into the butter. Add the powdered sugar and then the flour. 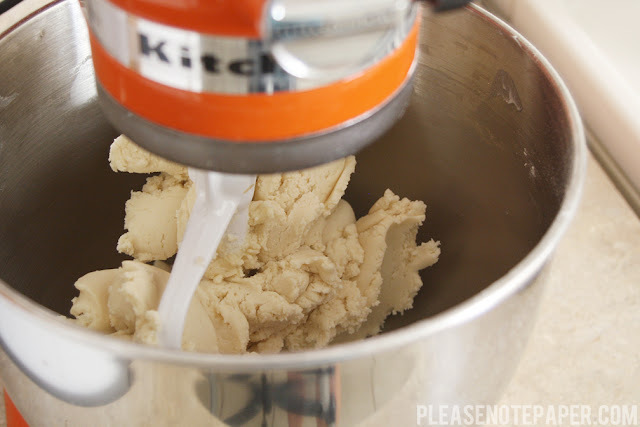 Mix until smooth dough forms. I wanted to make some of the cookies chocolate so I added 1 tablespoon of dark cocoa powder to half of the dough. 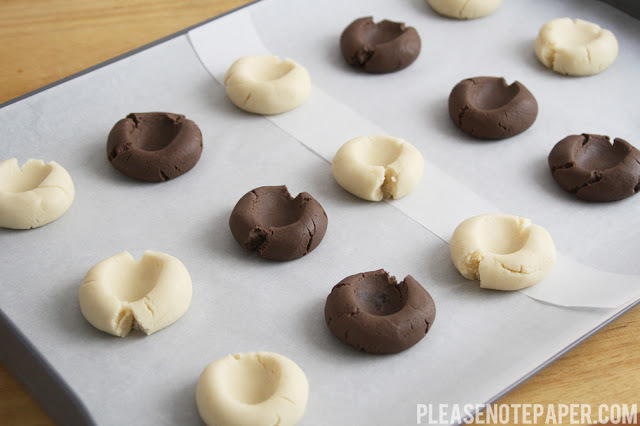 Roll the dough into one inch balls. 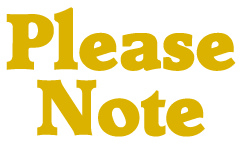 Place the balls on a cookie sheet about two inches apart. Press your thumb into the center of each cookie. Make sure that you don't press all the way through. 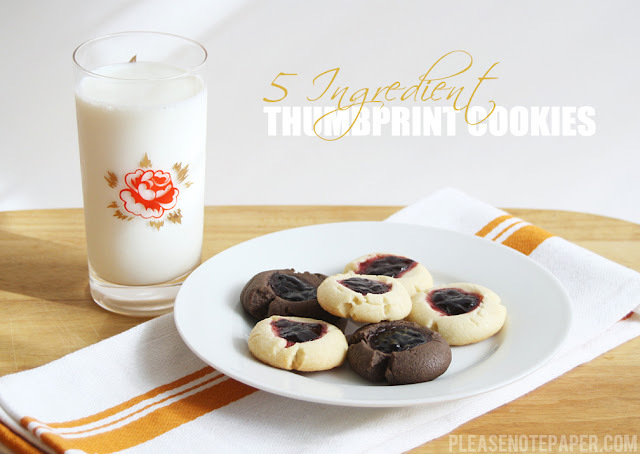 Spoon a little jam into each thumbprint but don't let them overflow. Bake on the highest rack of your oven for 12-15 minutes or until just slightly brown. Enjoy! 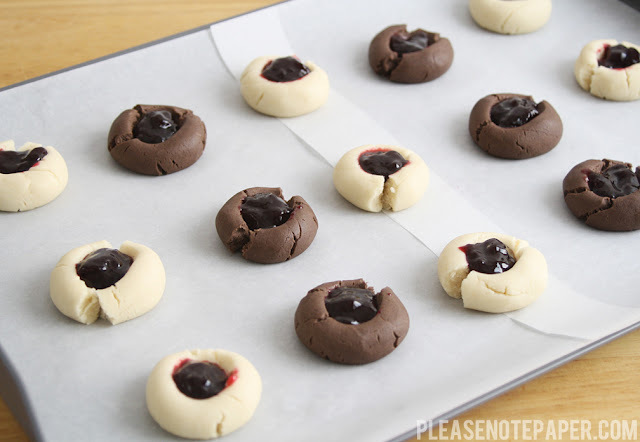 Oh man, I might make these tonight! I love recipes with so few ingredients. Me too, Erika! The best part... no eggs! They're always the one ingredient I'm missing!